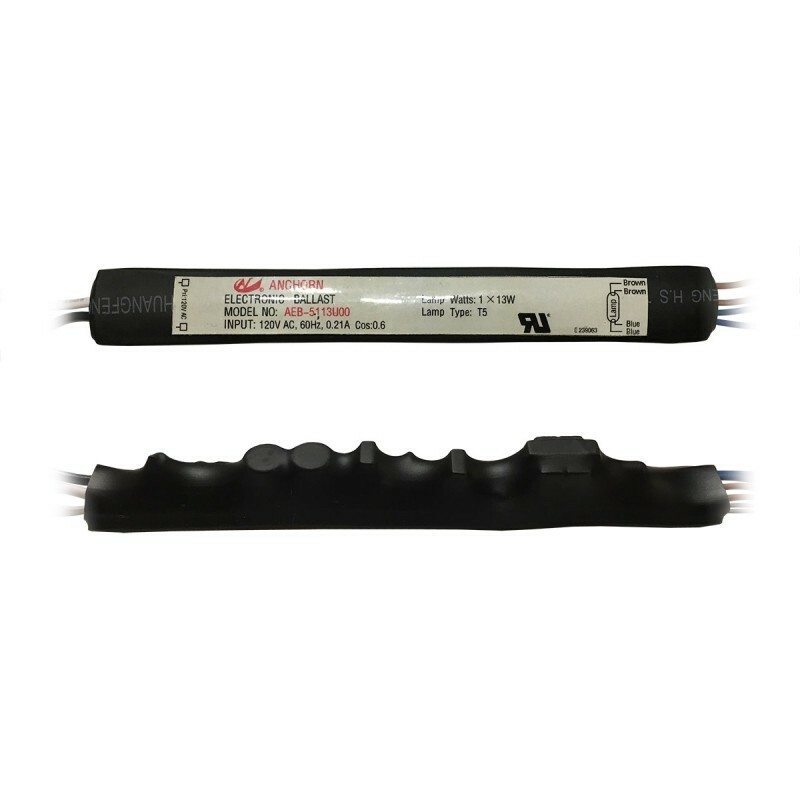 This very reliable Anchorn electronic ballast is designed to supply voltage for any standard T5 lamp types with up to 13 Watts. The ballast has 120 Volts AC input. Overall dimensions are 160mm lengh x 20mm height x 20mm width.